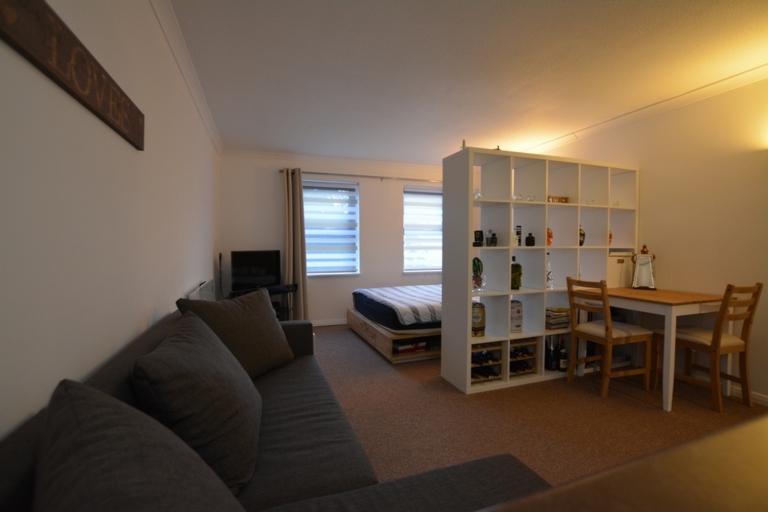 The studio is a light and bright space with plenty of room to accommodate a range of lounge and bedroom furniture. The current owner cleverly divides up the room using good pieces of furniture. 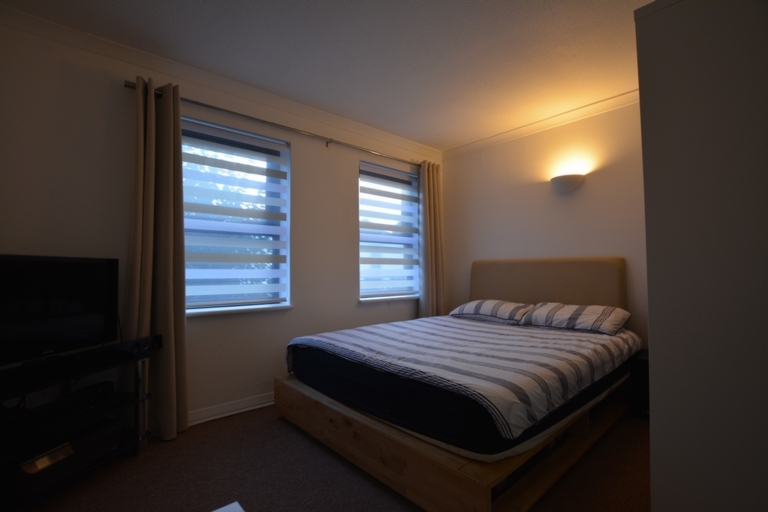 Within the room there is a double built in wardrobe taking care of your storage needs, as well as two double glazed window a to the front and a recently fitted electric heater. 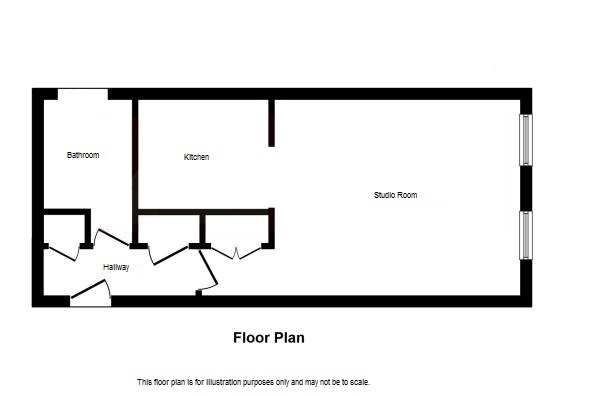 Located to rear of the studio is the open plan kitchen area. 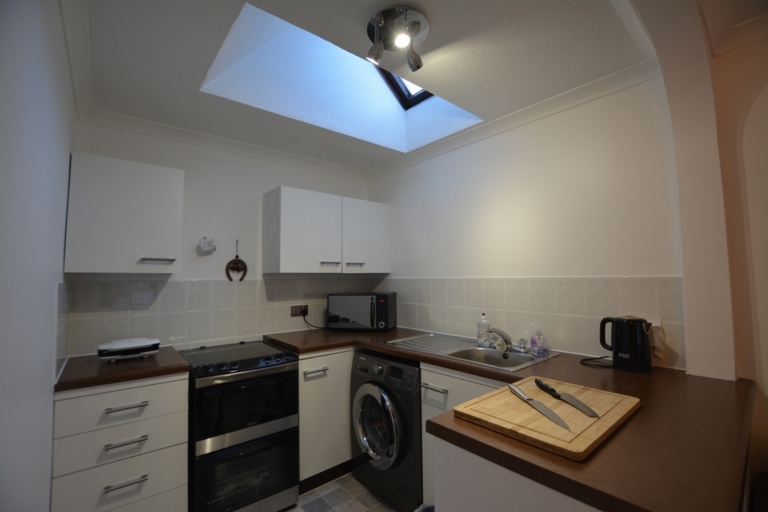 The kitchen was refitted a couple of years and boast a range of base and eye level units, with space for an electric cooker and washing machine. To make this area a light and bright space a Velux window is set into the ceiling, which can be opened from the ground. The bathroom is fitted with a quite suit, that comprises a panelled bath with shower attachment over the top, wash hand basin and low level wc. 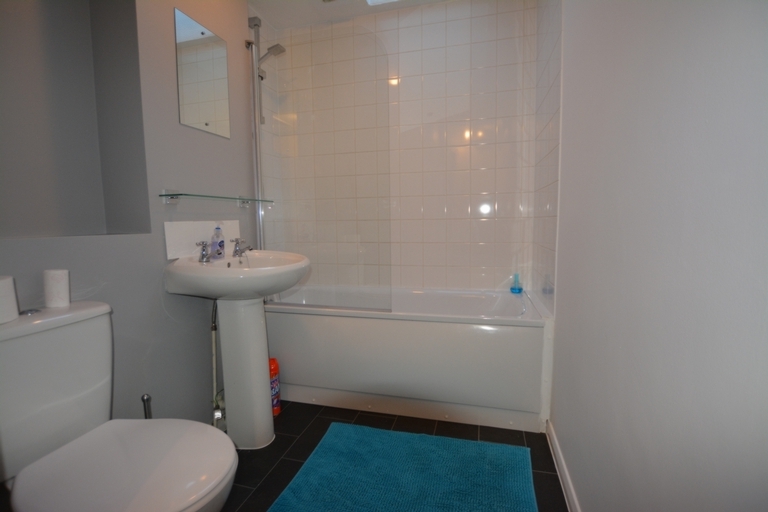 The room has been partly tiled with white tiles to the walls and grey floor tiles. 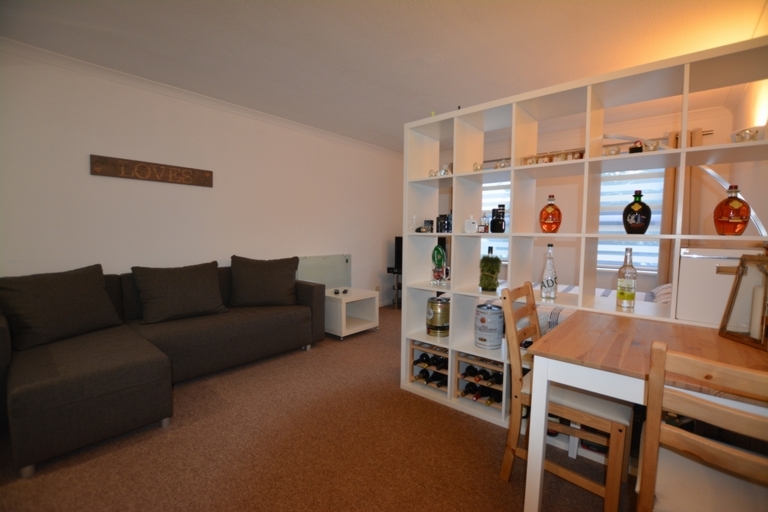 The property benefits from its own loft space which again takes care of all your storage needs. 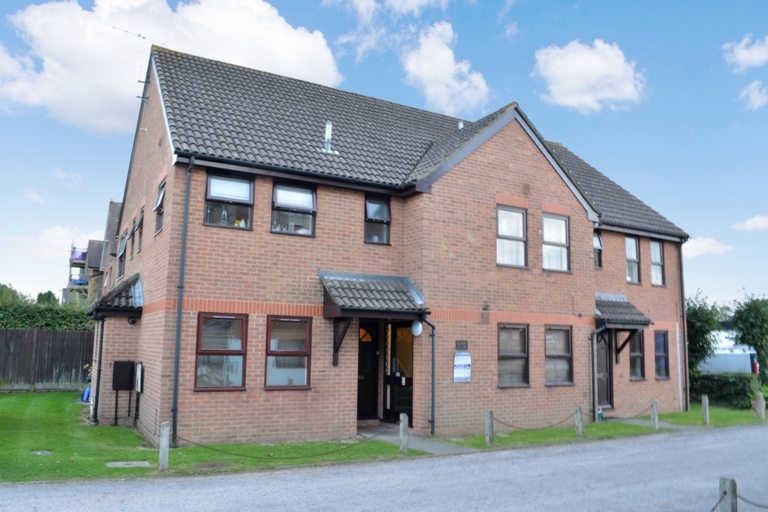 Outside the property there are some communal gardens and one allocated parking space.